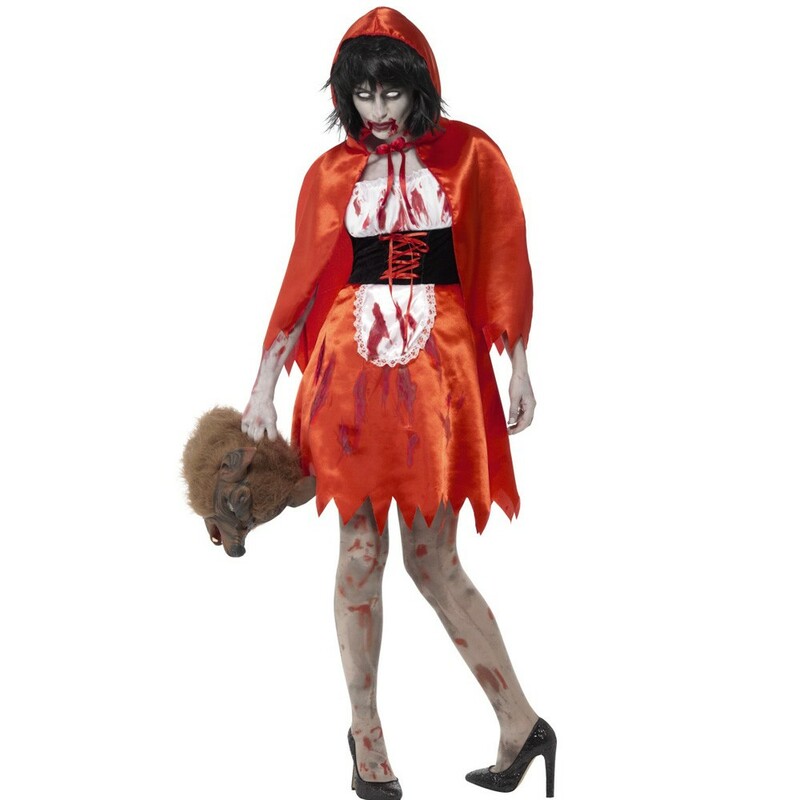 A Miss Hood Zombie Costume including a Dress and Cape – Ideal for Halloween, or any spooky fancy dress occasion! Watch as you go into the woods alone with this fantastic Miss Hood Zombie Costume. This brilliant Miss Hood Zombie Costume comes complete including a Dress and Cape. 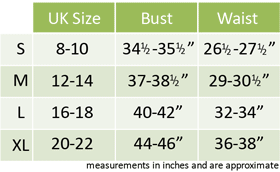 This red Dress features a white bust section, with a black corset-style section across the waist with a red lace up detail. The skirt features a shark tooth cut hemline, and a small white apron from the waistline, with printed blood splatters completing this terrifying look. 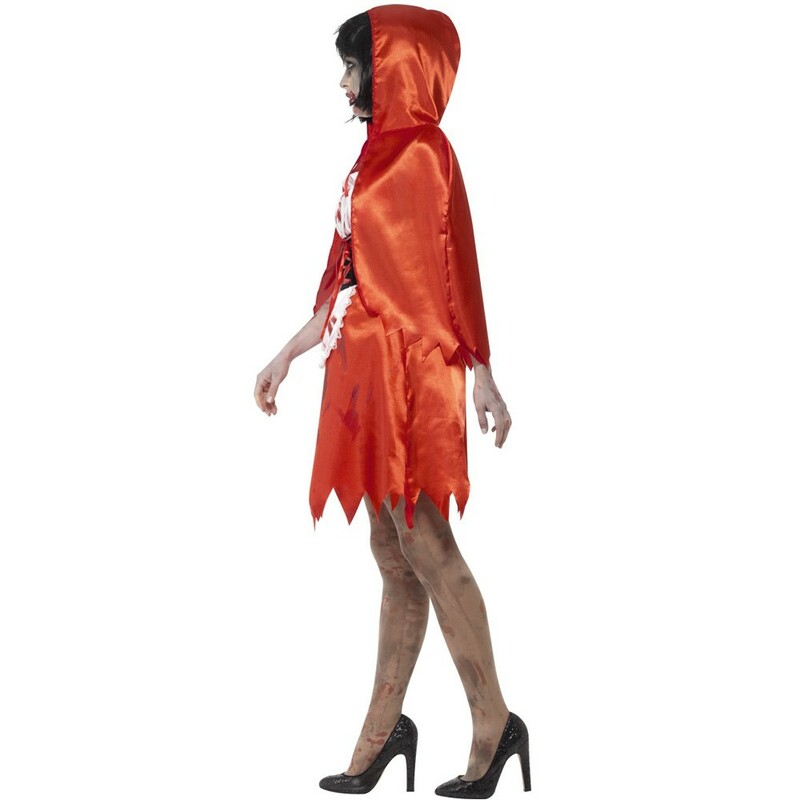 Add the red satin cape with attached Hood and tie fastening at the front to complete this Miss Hood Zombie Costume. 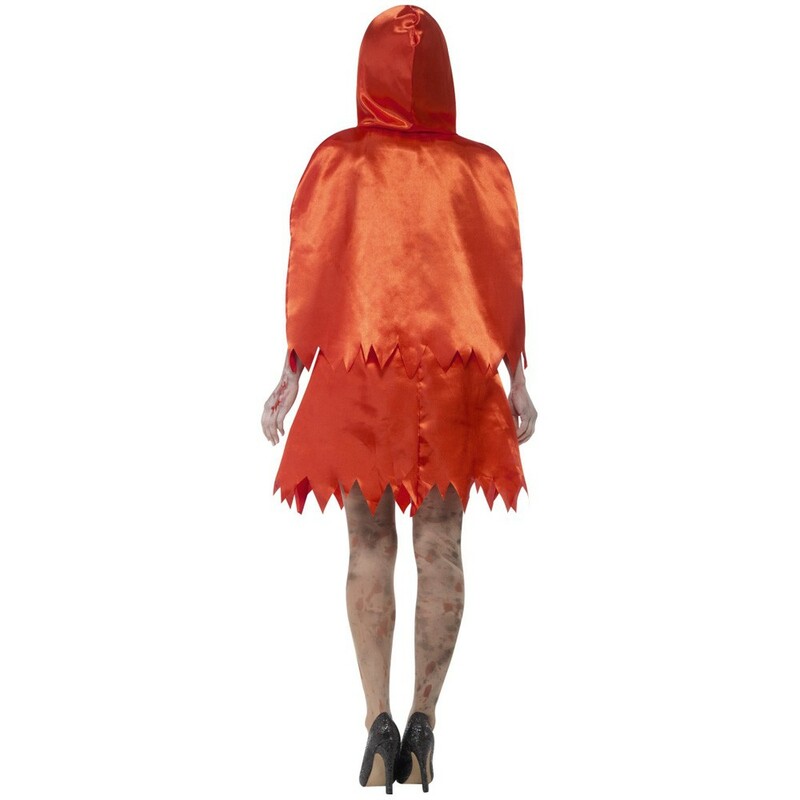 Perfect for Halloween, or a dark take on a Fairy Tale, this Miss Hood Zombie Costume will be sure to get you noticed. So don’t sit around waiting for the wolf with this scary Miss Hood Zombie Costume. A Miss Hood Zombie Costume including a Dress and Cape.